We recently discussed the concept of fate and destiny in our post about bashert - let's take a look at few other phrases that also relate to that topic. I don’t want to get in to philosophy, but there are debates in Judaism about what controls our future. There are many factors: our decisions and actions, external elements (the stars, environment, heredity), random chance, and God – either due to His will or in response to our deeds. Mazal מזל originally referred to stars and their positions - i.e. astrology. The Zodiac constellations are called mazalot מזלות in Melachim II 23:5 (we discussed how mazal is possibly related to mezuza מזוזה here.) There are debates in the Talmud (see Shabbat 156a and Moed Katan 28a) and with later theologians and philosophers about the influence of the stars. Even the Rambam, who opposed astrology, believed that the stars influenced our world greatly – he just didn't think they controlled people. Within these debates you find a mix of reference to and reliance on Jewish sources, concerns about idol worship and the influence of other religions, the philosophy and science of the times, as well as folklore and superstition that may have been supported by the masses even if some rabbis opposed. 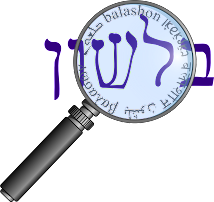 We can’t aim to say what the Jewish position on mazal is – it’s certainly beyond the scope of this blog, but it’s not honestly possible in general. Mazal progressed from the original meaning of constellations, to a more general sense of an appropriate time (the stars were “in position” at certain days and times), and occasionally to external factors in general - fortune or luck. (See the Tiferet Yisrael commentary to Mishna Kiddushin 4:10 for a further discussion of this expansion of meaning). Therefore, mazal tov מזל טוב originally had the literal meaning of a “good star/constellation” or what we might better understand as an “auspicious omen”. (The phrase itself first appears in Rashi's commentary on Bereshit 30:11, as well as in a number of locations in his commentary on the Talmud.) A modern equivalent would be to say that someone was “born under a good sign”. Sefardim preferred to place the words siman tov (good omen) top of the text, while Ashkenazim used mazzal tov (good constellation). At this point it was equivalent to its literal translation in English – “good luck”. We also find a fuller version of this wish סימן טוב ומזל טוב יהא לנו ולכל ישראל אמן - siman tov u'mazal tov yihe lanu u'lkol yisrael amen - "siman tov and mazal tov should be for us and all of Israel, amen" - in the Kiddush Levana prayer (although in the earlier source, Masechet Sofrim, there is no mention of mazal tov). Since the prayer is about the moon, perhaps some of the astrological significance of mazal tov is implied. During the Middle Ages, we see that in many cases there was still a strong astrological association with saying (or writing mazal tov). Sefer Hasidim writes (see this interesting article by Yaakov Etzion about mazal in general) that when a woman is about to give birth, we should pray that the child be born b'mazal tov (at the auspicious time). And there are sources that say that Jews would marry under the sign of Jupiter, the star also known as "mazal tob". But as I mentioned in the beginning of this post, there were competing ideas in Judaism - those that deferred or rejected astrology and following the Talmudic claim - אין מזל לישראל ein mazal l'yisrael - "the Jews are not subject to the stars", claimed that our prayers or meritorious actions would determine our fate. So perhaps they were the ones wishing mazal tov after a birth or a wedding, regardless of the position of the stars at the time of the event, as a prayer that the true fate was yet to be determined, and it should be good. And because it became associated with happy events like marriages and britot, it eventually transformed into a general phrase of congratulations. So you could say to someone mazal tov on something that had occurred entirely in the past. If someone won a contest – you could say to them “mazal tov”, even though there was no wish for the future. On the other hand, to say to someone who is about to take a difficult test or have a job interview “mazal tov” would be considered strange (even though you would say to them “good luck” in English.) Regarding the difference between the senses of "good luck" and "congratulations", Leo Rosten in The New Joys of Yiddish writes that "the distinction is as important is it is subtle." Both the Hebrew and English Wikipedia entries for "mazel tov / מזל טוב" claim that the phrase as "congratulations" originated in Yiddish and from there entered both English (with an early first use in 1862) and Modern Hebrew. In the Sephardic tradition, siman tov was said for boys and mazal tov was said for girls. The Ben Ish Chai writes in his book Malach HaBrit, page 41, (and a disclaimer – I don’t identify with these sentiments), that the main hope after a girl’s birth is for her wedding, so the wish for mazal tov (said) at her wedding is mentioned then, whereas the boy's birth was already viewed as a good omen (siman tov). So as people came to believe in astrology less and less, the meaning of mazal tov retained less and less of its original meaning (and the word mazal itself has transformed from the heavy "fate" to a more abstract, or even random, "luck"). Today even those who fully oppose astrology on religious grounds will have no qualms about saying mazal tov to someone on a happy occasion. Since mazal tov was said at weddings (usually after the breaking of the glass), today it’s not uncommon that if someone breaks a glass or dish, people will say “mazel tov” – which works well for breaking the tension. And for some reason, Israelis are more likely to wish (at least on Facebook) mazal tov for someone's birthday than the Hebrew translation of "happy birthday" - יום הולדת שמח yom huledet sameach. We don't usually wish someone "congratulations" on a birthday, but perhaps the general association with happy occasions is retained here. After mazal tov made the transformation from wish to congratulations, a linguistic vacuum was created. That gap was eventually filled by the phrase “be’shaa tova” בשעה טובה, which really has the same meaning as mazal tov (literally "at a good hour"), and is used for something up and coming (like a pregnancy or engagement), but doesn't have the “evil eye” aspect of congratulating on something that’s already happened (which isn't an issue after a birth or marriage). It sometimes appear in a longer form - בשעה טובה ומוצלחת - be'shaa tova u'mutzlachat. While the phrase be'shaa tova does appear in Medieval sources, the earliest uses I could find in the sense we've been discussing - an upcoming event - appear in the 20th century. This site mentions parallel phrases in Yiddish and Ladino, and says the ultimate origin is the French phrase a la bonne heure - "a good hour".While this is a literal translation, it doesn't carry any astrological connotations or even relating to "fate" in general. It's more of a general wish that something occur at an appropriate or opportune time. Many languages have variants on this phrase - English has "at the right time" and Hebrew has בעתו be'ito. I'm not convinced that this is the origin of besha'a tova, although since it is often used today specifically about pregnancies, the wish that the birth be at an opportune time does make sense.